This Saturday, when the UFC makes its debut on ESPN with the stacked UFC Brooklyn card, fan favorite flyweight contender Paige VanZant will make her long-awaited return to the Octagon opposite Rachael Ostovich. 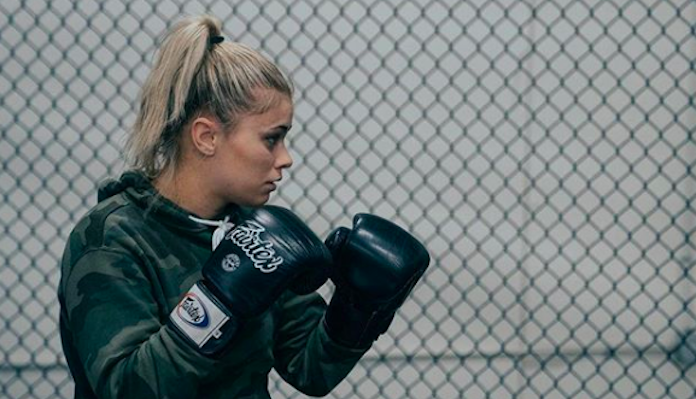 Paige VanZant believes this fight is one of the most important of her whole career — more important, even, than her UFC debut. She feels this is her opportunity to reintroduce herself to UFC fans using the massive ESPN platform and prove she belongs amongst the flyweight division’s best fighters. Paige VanZant added that this was a card she’d been eyeing for some time. “I knew this was my card — I was meant to fight on the first ESPN card,” she said. “It’s monumental. It’s huge. ESPN is the biggest sports network in the world. When you think of sports, you think of ESPN. I want to be the face of ESPN and I hope that me fighting on this card will help solidify and help prove that I belong on this network. It’s huge. And on top of that, fighting in New York is a dream of mine. VanZant is also excited about the matchup with Rachael Ostovich itself. Paige VanZant is currently on a two-fight skid, having recently come up short to Michelle Waterson and Jessica-Rose Clark. Do you think she’ll return to winning ways in Brooklyn this Saturday?